Today was the last day for the class-D power amplifier lab, and the students had a problem that we’d never encountered before—the breadboards kept squirting the nFETs out of the breadboard (sometimes the landed several inches away). We were using the same nFETs as last year,NTD4858N, which comes in a TO-251-3 Stub Leads (which they call IPak) package. The problem is that this year’s breadboards have their contact springs deeper than in previous years, so the stub leads barely reach them. I don’t know whether the breadboards were ordered from the supplier I had found (http://www.meerkatsystems.net/html/10000023.html) or whether they substituted one from one of their favorite suppliers. It would be good to know, as this year’s breadboards seem to be inferior to previous year’s. Next year, I think I’ll specify the nFET to be PSMN022-30PL,127, which comes in a TO-220 package and sits more firmly in the breadboard. I further conjecture that there will be a very high correlation of scores (so I won’t really learn all that much about the students). But I’m prepared to be surprised—I made the quiz deliberately fairly easy, so it is possible that students who have struggled with the design problems of the homework may be able to do the quiz. I thought that splitting last year’s thermistor lab into two parts would mean that it would fit comfortably into 2 3-hour periods, but I still spent 5.5 hours in the lab today with the students, even though they had done most of the measuring on Tuesday. What went wrong? and how can I prevent problems like this in future (both later this quarter and next year)? The students got the rest of their parts today (except for the thermometers, which will come too late for the students to use). I checked out the digital thermometers that we’d been loaned before class, and found that 4 of the 10 were clearly wrong, reading about 2°C too high. That was in addition to the thermometer I found on Tuesday that was about 20°C too low. Tomorrow, I’ll have to take some time to talk about the differences between precision, repeatability, and accuracy. 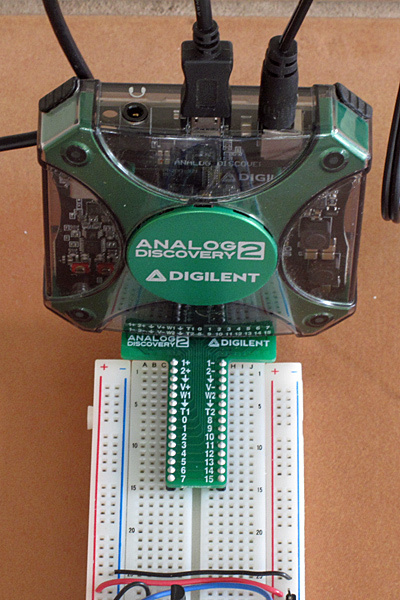 I started by having students finish the homework assignment together (Design a circuit to convert a 1kΩ–3.3kΩ variable resistance sensor to a 1v–2v voltage output, with 1v for the 1kΩ resistance and 2v for the 3.3kΩ resistance. Use standard resistor values that you have in your kit), and wire it up using the power supplies and a multimeter. I also used this as a time to teach them about how to use the power supplies (letting them warm up, setting voltage and current before turning on the output, turning on and off the output without touching the power switch). 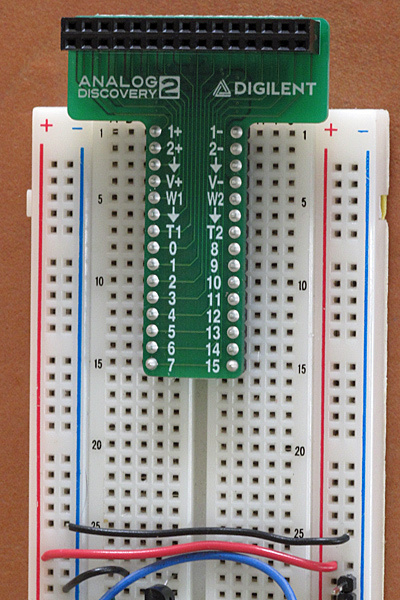 I also told them about the resistor color code and two ways to use resistors in a breadboard: using 0.4″ spacing and having the resistor horizontal near the breadboard, or the “flying resistor” with 0.1″ spacing and a vertical resistor. I suggested that they might find the flying resistor easier to work with in some of the later breadboarding, and suggested that they get in the habit of always having the band for the most significant digit at the top of the resistor. One of the students had done something very clever before lab—he’d taken the 64 tapes of 20 resistors each, sorted them by size and then used transparent tape along one edge to make a booklet of resistor sheets. The half hour or so of time that took him will probably save him many times that much during the quarter—I had him show his work to everyone and suggested that they take the time to do likewise. He also found, while doing the sorting, that two of the resistor tapes were mislabeled (he already knew the resistor color code, so could see at a glance that the 47kΩ and 100kΩ resistors had their labels swapped. I think that this student is already thinking like an engineer—he may not have the math skills of a professional engineer, but he has the attention to detail and forethought that characterizes the really competent engineers. I hope that this early promise continues throughout the quarter. One big problem with the lab time was that almost no one had actually done the pre-lab design problem to optimize the resistance to pair with the thermistor, so they spent an hour or two struggling to set up the equations and do the calculus during lab. Everyone did eventually get a reasonable value for their design resistor by setting up the equations and doing the calculus (with the aid of Wolfram Alpha), but sitting at a bench in the lab doing math is clearly not an optimal use of lab time. What can I do to prevent that delay? Demanding that they show up to lab with the solutions did not work last year or this, so I need a different technique. Tomorrow I’ll talk to the students about time management (writing up the report for Tuesday’s lab either Tuesday or Wednesday, so that only the new stuff on Thursday needs to be added, for example) and doing design exercises before coming to lab. I’m thinking that next year I may split the thermistor lab into 3 parts: part one is what we did on Tuesday minus the soldering; part two would be just setting up and testing the DAQ boards (installing software, soldering, and doing some simple tests) and wiring up the simple voltage-divider exercise; and part three would be wiring up the thermistor and resistor to the DAQ board, checking linearity, and plotting temperature as a function of time. I could then require that the design report due on Friday be mainly about the data collected on Tuesday and the calculations for the design of the temperature-to-voltage converter. By forcing them to turn in the design report with the calculations long before they come to lab, there is a better chance that they’ll do the design work outside lab time. That would rather mess up the weekly pairing—I wonder whether to think of that as a bug or a feature. If I forced repartnering before the temperature recording got done, students would be coming in with two different design reports and having to reconcile them. That might cause them to actually read each other’s reports, which could be a good thing. I’ll have to see what ripple effect this rescheduling would have on the rest of the quarter. Finishing up the soldering that was started on Tuesday did not take up much time—within about half an hour everyone had a board that had good-looking solder joints on all 64 connections. Installing PteroDAQ on the KL25Z boards also took more time than I’d like, mainly because of the necessity of first installing MBED.org’s firmware fix, then installing PteroDAQ, then switching to the other USB port to run PteroDAQ. Downloading from the bitbucket site confused a lot of the students (I find the site confusing that way also—there should be an obvious big button that downloads everything without “cloning” a repository or doing anything mysterious. I ended up passing around my flash drive so that people wouldn’t have to deal with bitbucket. Almost everyone managed to get PteroDAQ working eventually, but it took more time than I expected. (One student may be having hardware problems with the KL25Z board or the USB cable—there was no 3.3v power measured. Another student had a bad USB cable—the board worked ok with other cables.) I wonder if there is a way to make the bitbucket repository more user-friendly for someone who just wants to install and run the software—it seems to be set up only for developers, not users. Setting up their circuits on the breadboards took much longer than I expected. Some of the problems were anticipated (like the students having a hard time finding the appropriate resistors, or clamping the insulation in the binding posts of the power supplies and so not getting any voltage), but a lot of the delay here was a mystery to me—students didn’t seem to be making progress for quite a while, but I couldn’t tell what was delaying them. I’ll have a hard time fixing the delay problem here if I don’t know its cause. So far the students have learned to use the multimeter as an ohmmeter and as a voltmeter, and next week they’ll learn to use it as an ammeter. 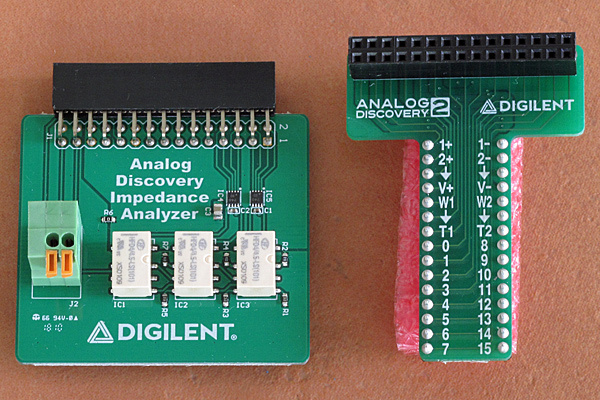 We’ll also get a little use from the function generator and oscilloscope next week. I think I’ll also start introducing AC voltage tomorrow, instead of waiting until next Monday, unless the students have a lot of questions about the writeups they need to do (I expect that there will be some gnuplot questions).